The Galaxy Note 4 device has received a new OL2 firmware earlier this month and here we are with the stock Android 5.1.1 Lollipop on Galaxy Note 4 N910G. The firmware version N910GDTU1COL2 comes to the Note 4 for the Singapore variant and has been reported to be running on other variants as well like the Indian and other versions of the device. The firmware update version OL2 brings several security patches and bug fixes along with a new Android version update. 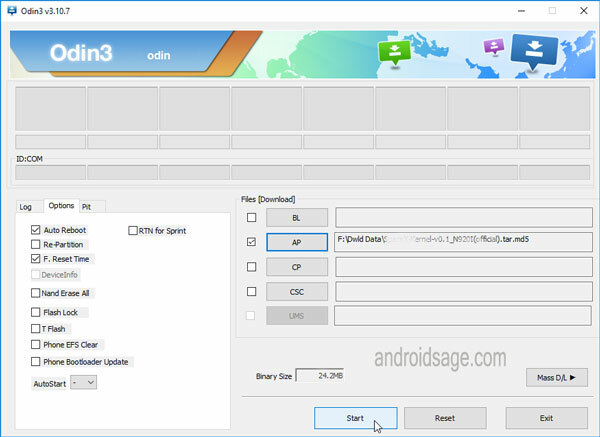 You can also find firmware based on carrier and country from the download section below. If you want to update or revert back to stock, this tutorial will help you with it. Before you proceed, it is highly recommended that you backup everything from Apps, Data, Media etc. It will perform a clean firmware flash via Odin and get you a brand new ROM. 1. Verify your device for compatibility. The listed firmware is compatible with Samsung Galaxy Note 4 SM-N910G variant.